This meeting should be of interest to many out there. A great collection of speakers and topics. Keynotes by Ed Yong, Susan Lynch and Marc Edwards. Registration deadline is September 1. Registration is free and open until September 1, 2017. Ed Yong (The Atlantic). A science writer’s view of the MoBE field. Shelly Miller (University of Colorado). Building Engineering Controls for Improving Occupant Health: Mitigating Airborne Particles, Toxic Gases, and Infectious Aerosols. Rachel Adams (BIMERC). Sources and quantities of microbes and mVOCs indoors. Mark Mendell (California Department of Health, LBNL). 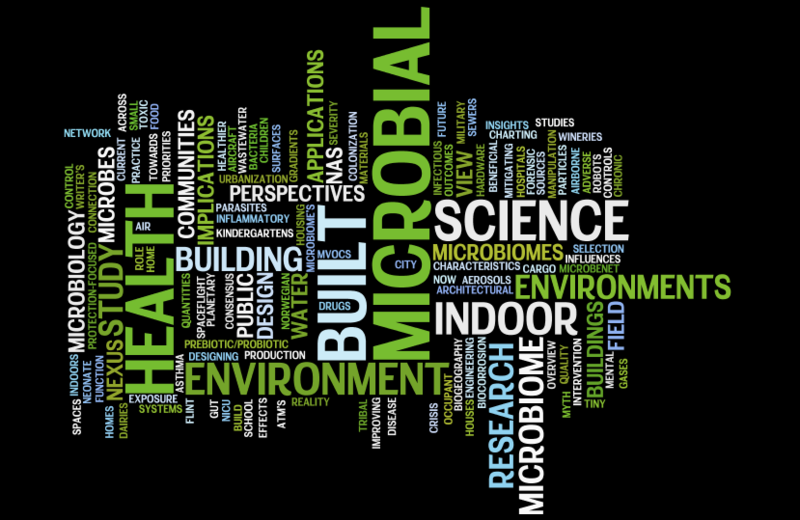 Adverse and beneficial effects of the indoor microbiome – current implications for health or design? Jordan Peccia (Yale). Gordon Conference Announcement. Scott Kelley (San Diego State University). Session Chair. Richard Corsi (University of Texas at Austin). Session Chair. Katherine Bowman (NAS). Session Chair. Jonathan Eisen (UC Davis). Moderator. Paula Olsiewski (Alfred P. Sloan Foundation).